This entry was posted in Computer Tips, Reviews, Windows 8 and tagged AppLocale, installation, multilingual, windows 8. Bookmark the permalink. I tried a manual search but no luck either. Do you have the same message ? Did windows delete their app ? If so where can I get it because I really need it and I can’t find it anywhere else T^T? If you have any information I would be really grateful. Thanks in advance. Hi, I’ve just updated the post by adding a direct download from my website. I hope it works. Thank you. Works a wonder, thank you so much! 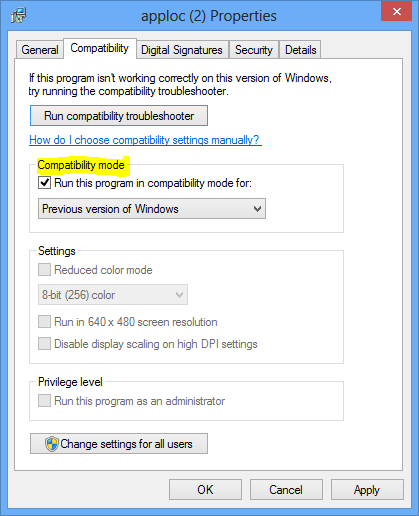 Seems Windows 8 keeps getting better; if you right click on it (apploc), and select “troubleshoot compatibility”, it will force the program to skip the version check, and it will install just fine. Seems this version of Windows just might run everything I need it to without causing problems. Oh my gosh, thank you so much. This was beginning to be so damn frustrating. You have a great article, very easy to understand! 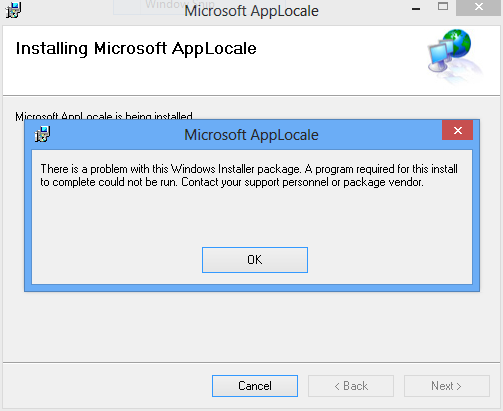 Does this applocale be use on Windows 8.1 SL (Single Language)? On the net, there is no post about windows 8.1 SL, all is about windows 8!